We look forward to the opportunity to serve you and your organization with quality service. Non Warranty Base Rate is $175 for onsite service calls within the service zone 1 radius during normal business hours. Service zone 2 Base Rate is $300. Please reference the Service Zone Map. This includes all travel charges (up to two site visits if needed), offsite research, parts lookup & RMA setup, as well as the first 30 minutes onsite. Non Warranty hourly rate of $75 per hour will begin after the first half hour onsite should additional time onsite be required. Parts, equipment, repairs and shipping are applicable as required to perform the requested service. Note: If overnight or rush shipping is requested this cost will be added at actual cost. Non Warranty Base Rate is $250 for onsite service calls outside of normal business hours within the service zone 1 radius. Service zone 2 Base Rate is $400. 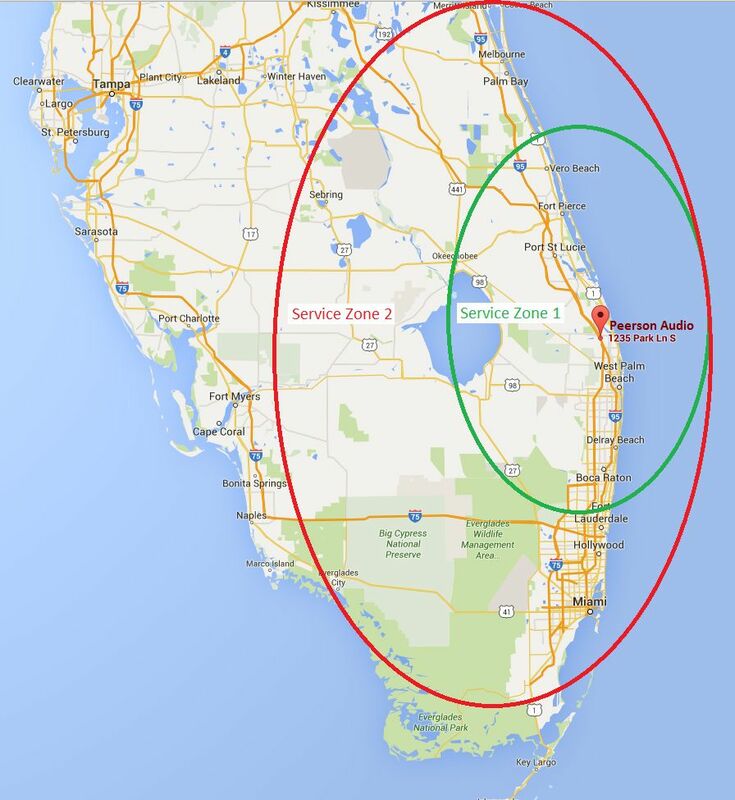 Please reference the Service Zone Map below. Non Warranty hourly rate of $110 per hour will begin after the first half hour onsite should additional time onsite be required. If you believe your project is covered under our warranty program please let us know when placing the service request.